Tags: new, content, objectives, crusaders, idols, event, princess, pool. Now that the Holidays have come and gone, the Princess has decided it's time to stave off the post-Christmas blues with a vacation. Packing up her pointy hat, she's booked herself on holiday to warmer climes to get away from the winter weather. 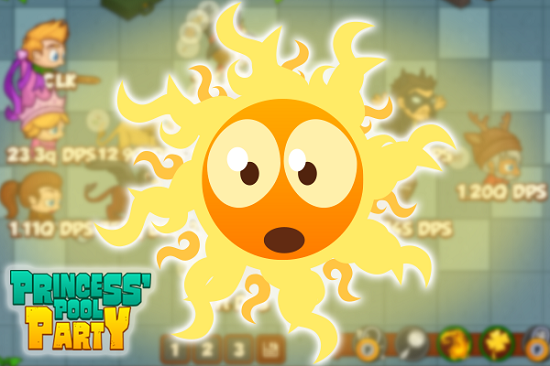 Starting today and running through to January 19th at Noon PST, our new event Princess' Pool Party will kick off the New Year with an international 'vacay'. 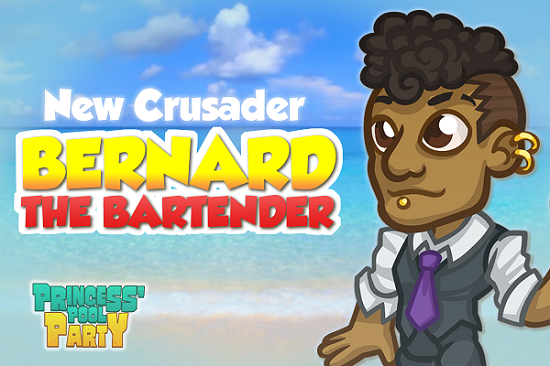 Two new event Crusaders are available to unlock. 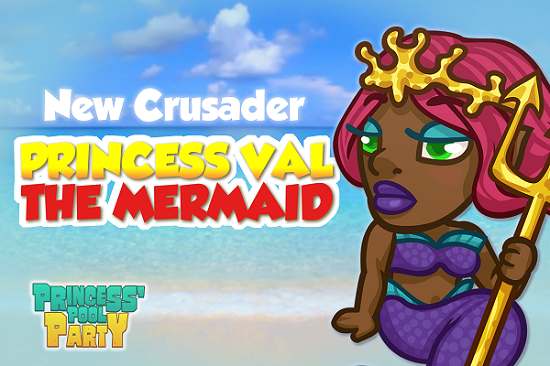 Carrying on the vacation theme, you can recruit Pam the Pilot and the exotic Queen Siri to join your Crusaders. As ever, recruiting them isn't going to be easy. 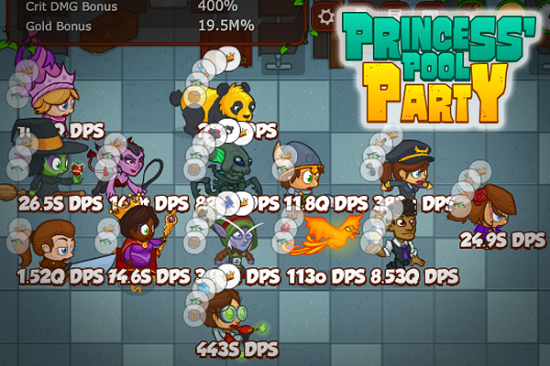 Pam will turn on the 'seatbelt' warning, depressing the DPS abilities of Crusaders around her in the 'cabin' of the new plane formation reducing their abilities by 90%. What's more, if you don't protect Pam from the deluge of monsters and Pam is killed, your formation is wiped knocking you back to the previous area. Queen Siri asserts her matriarchy on the Crusaders, keeping the males in the formation in check by debuffing them all by 25% for the duration of the flight to area 100. 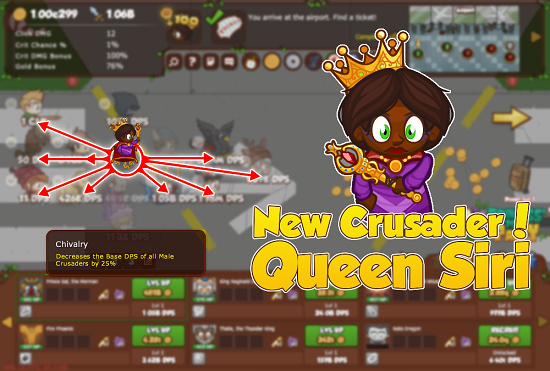 Once you can complete the first two objectives and recruit the new Crusaders to your cause, you can replace Jim the Lumberjack and King Reginald IV. 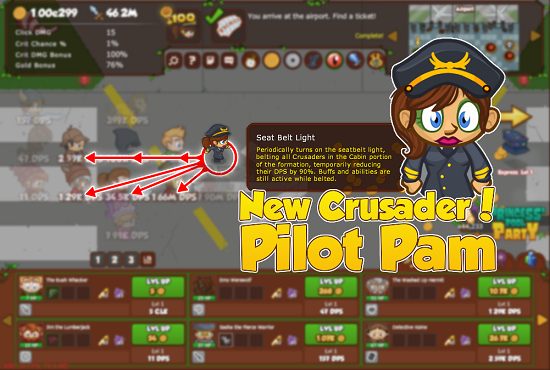 Among Pilot Pam's upgrades, you'll find Focused Teamwork when she's level 50, which buffs herself and one other Crusader by 100%. Queen Siri brings the ability to increase all female Crusaders power by 100%. There are three additional objectives too. 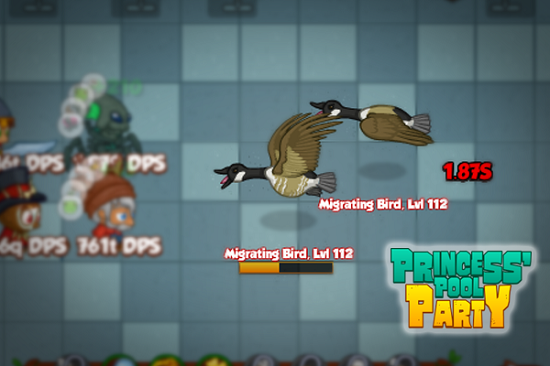 Wing-clipped requires you to get to level 150 without the 'wings' and 'tail' of the airplane formation. Open-bar sees the Crusaders get access to the drink trolley, getting drunk and randomly passing out, canceling out their DPS contribution to the formation and their buffs. Three's A Crowd is just a bit of fun where we limit you to only having three Crusaders in your formation at any one time. 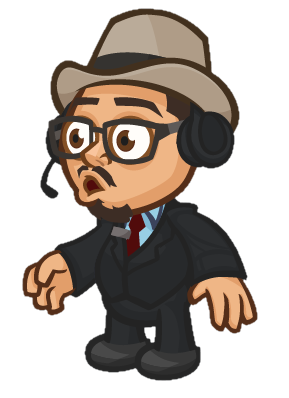 MrBayEasy Look out for a special guest appearance by one of our favourite YouTube celebrities, MrBayEasy, who has been producing a Let's Play series for Crusaders for some time now. Check out his channel, give his Crusaders videos the 'thumbs up' and subscribe today. And with that, pack your beach clothes, suntan lotion and a great big bushwhacking stick and prepare for the holiday of a lifetime. Bon voyage.